You may be just exploring whether to take the leap into planting native plants or maybe you are a convert and need to learn how to do it. So first, here are some considerations. Gardening with native plants is still gardening. It requires choosing a site and determining the size of the area you are ready to take on. It means deciding on the appropriate plants for those conditions, preparing the site, and perhaps removing unwanted plants from the area. Planting native plants and creating habitat provide many benefits to the environment, wildlife, water quality and retention, and aesthetics. Plants native to our area tend to be hardier and require less maintenance than exotics or cultivars. They evolved for hundreds of years here and so are used to our cold winters and hot, dry summers. They have coexisted with our local birds and insects forever, forming mutually supportive relationships. For example, native bees gather pollen of native plants, and in so doing pollinate the plants for development of seeds. Ants spread the seeds of their host plants and help the survival of those specific plants. Local ecotype species are resistant to some of the detrimental pests that plague cultivars, so do not require application of pesticides. Planted in the appropriate environment, they need no fertilizer and less watering than introduced species. Native plants — trees, shrubs, grasses and forbs (blooming plants) — create essential habitat for the desirable wildlife that may be endangered. We have all heard about how the loss of milkweed plants has endangered the Monarch butterfly that requires those species to lay their eggs. We are losing many species of native birds because of predation and loss of required habitat. So you can help create habitat, and along with many other property owners in the Chicago area, contribute to a habitat corridor to make a difference for the flora and fauna of our area. Based on the conditions in your yard, you may want to plant prairie plants for sunny, dry spots or woodland plants for shady wet or dry areas, or wetland plants for the soggy spots or water’s edges. If you have a small space to turn native, you may prefer to create a tidy, landscaped bed. 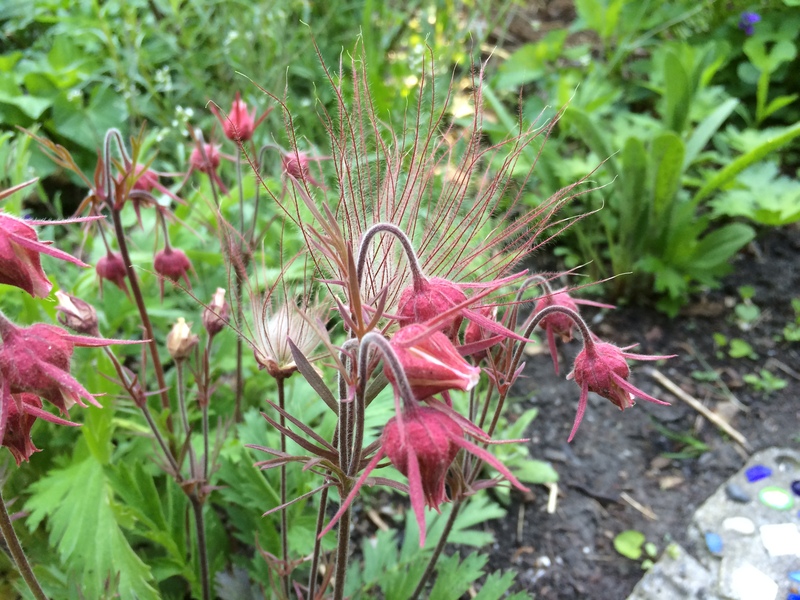 If you have a larger space you may want to plan for a prairie to be developed over time, or a woodland in which you encourage a natural look with spring ephemerals and later summer bloomers. You may be motivated by a desire to create a butterfly garden, or to solve a problem with a wet area in your lawn with a rain garden. Lots of choices! If you are already a gardener, you may want to start by introducing some native plants along with the cultivars in your beds. Or if you have an area that needs to be re-worked, this might be an opportunity to start over with all native plants. If you have lots of lawn, especially right up to the base of trees, you could begin by eliminating some lawn each year, making larger and larger rings around the trees, filled in with native groundcovers or other appropriate native shade plants. Problem areas (deep shade, dry sunny, soggy, masses of invasive plants) can be turned into beautiful gardens with appropriate plantings. Pollinators and Birds that identify the species of plants to attract particular valuable visitors and nesters. 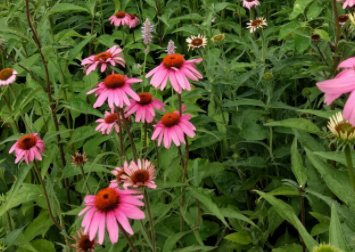 If you are not already a member of an organization that encourages and educates people in the Chicago area about the value of native plants, plan to join one. 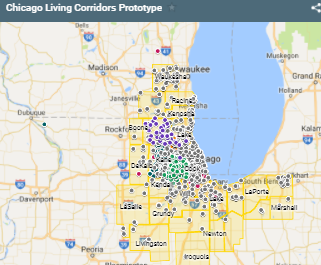 (See this website’s list of partners and supporters of Chicago Living Corridors) Several of these organizations have programs to advise property owners in their area. 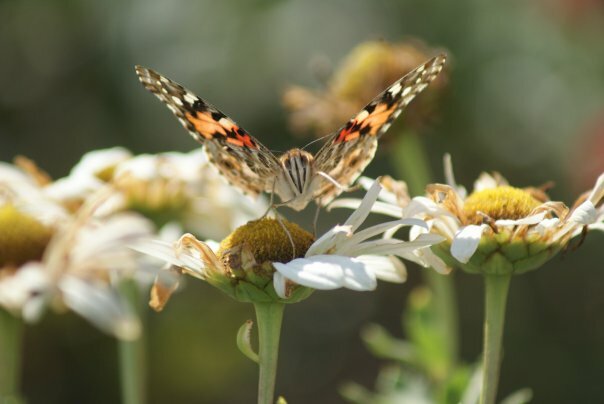 And once you are successful in creating valuable habitat in your yard, join the growing number of others whose properties become dots on the CLC Map to connect existing restored habitat to form the greenway we are calling Chicago Living Corridors!